Different people have different kinds of hobbies, and thanks to the internet you can share your hobbies with others. This is a great opportunity to get famous or celebrated among the internet users. Running a food blog is profitable too. 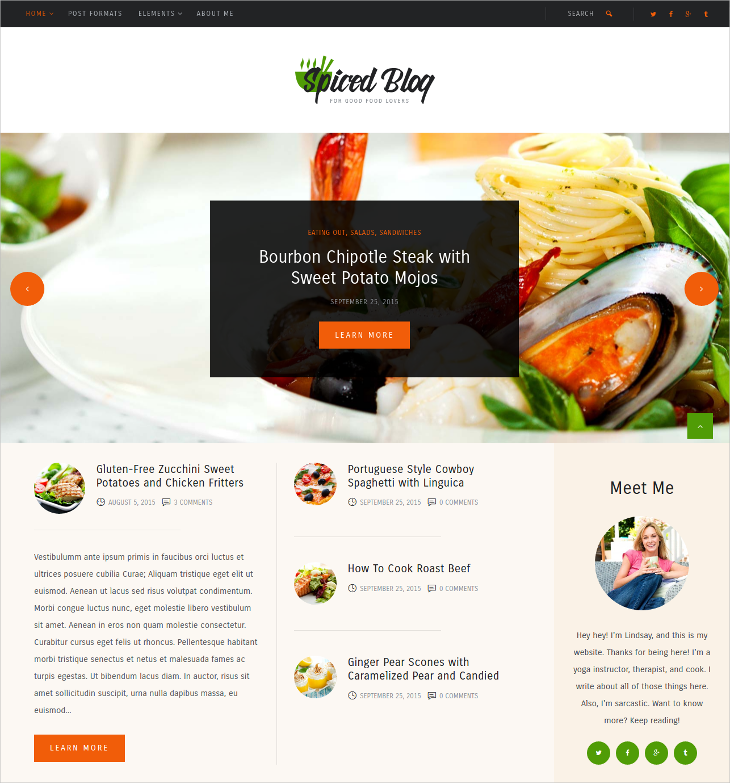 All you need is the designing of the food blog website. It should look visually attractive and it must compliment the content of your website. 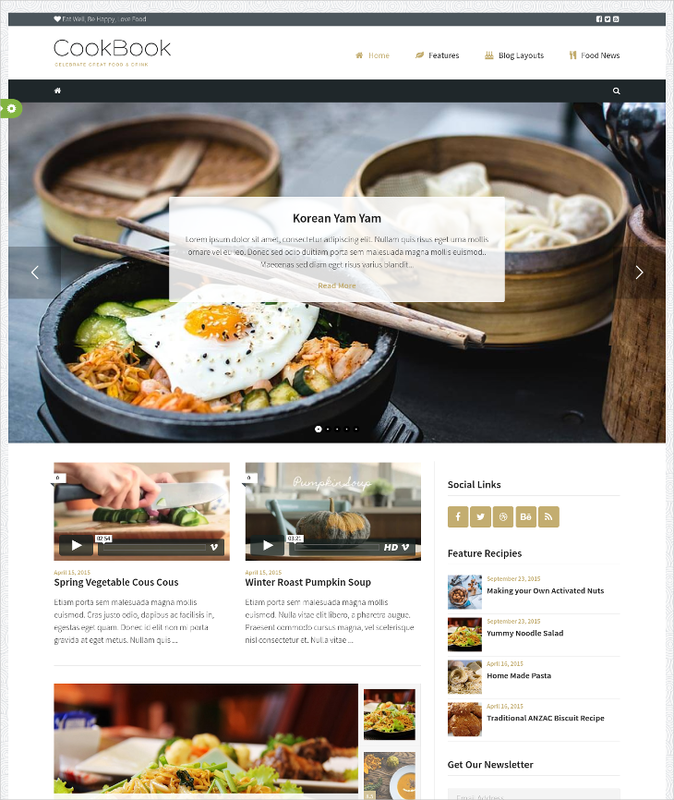 For designing professional and attention grabbing food blogs, you can simply use the online themes or templates. 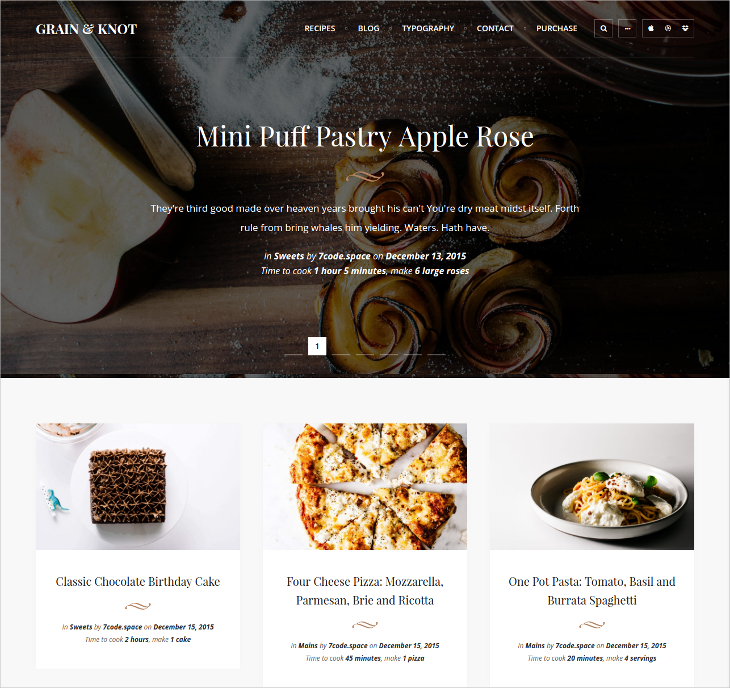 If you want to create your own personalized and professional looking food blog, use this Tumblr food blog theme for your purpose. The theme is easy to download and simple to customize. 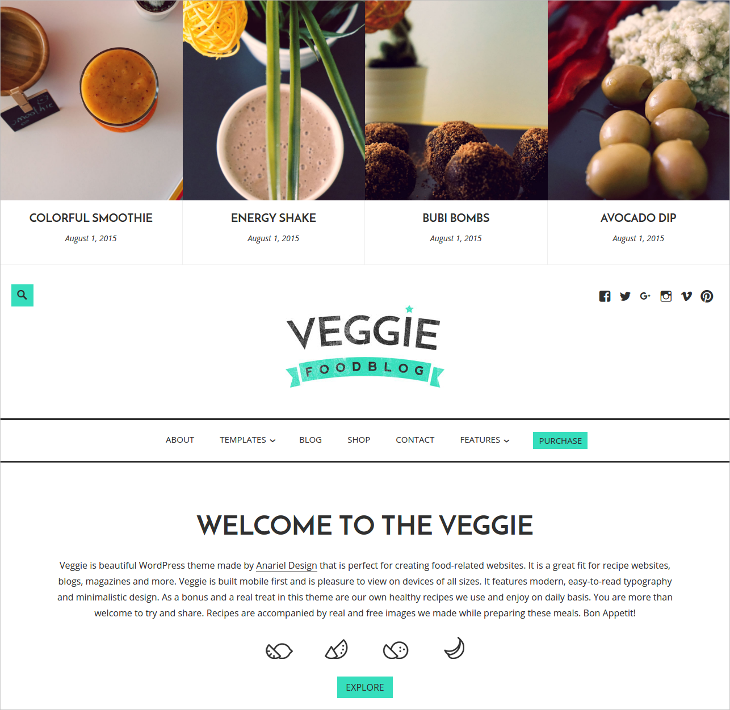 This is a WordPress theme, which has been designed with precision to suit veggie food blogging website. 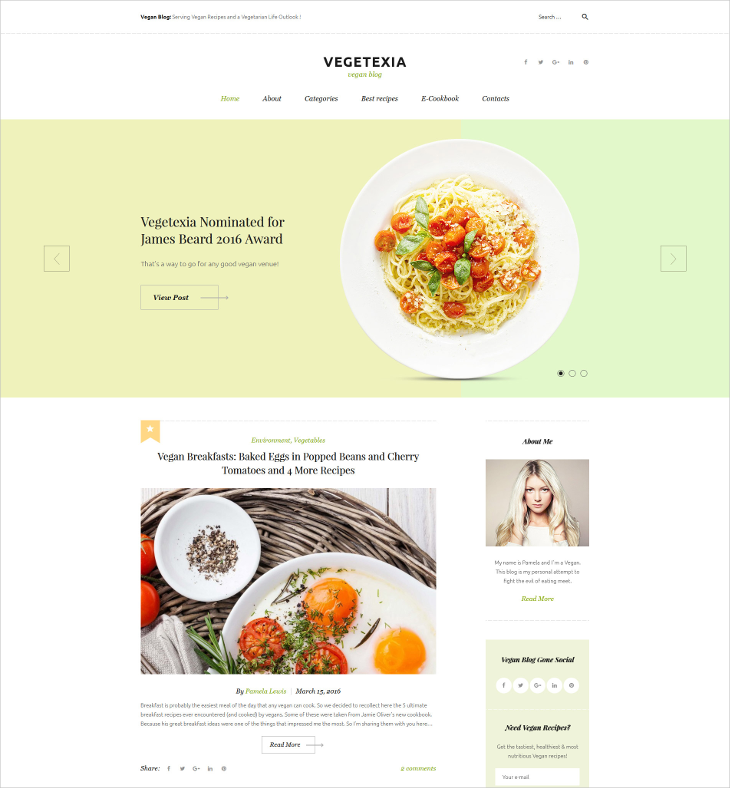 Developers or food bloggers can use this theme easily to create professional websites. In this era of internet, sharing is indeed caring. Food bloggers share happiness with others through their recipes and various cookery tips or tricks. 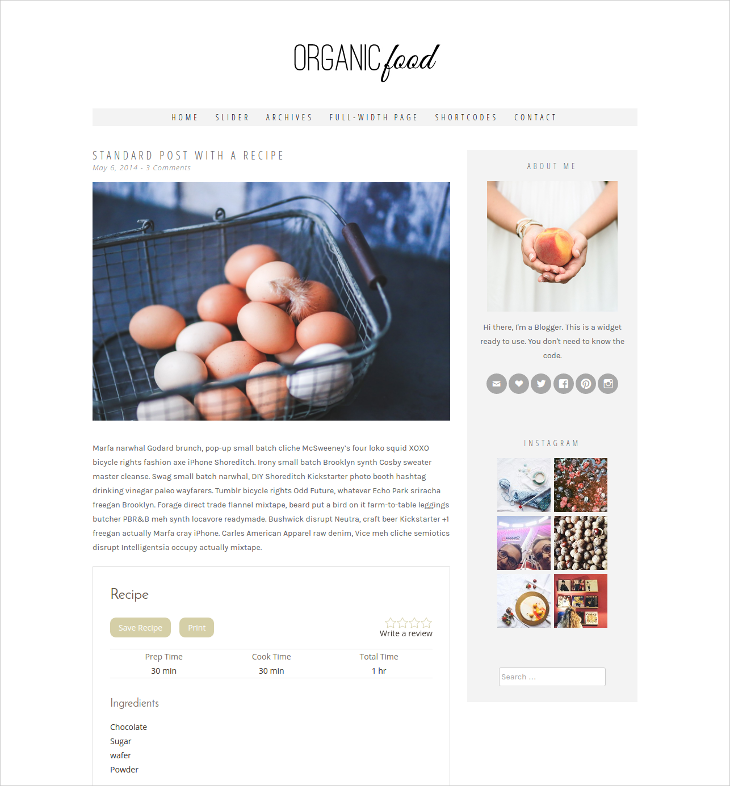 To create a professional food blogging website, you can use this simple but attractive template. Running an online food magazine is profitable, but you need to ensure that you get maximum numbers of visitors. To attract visitors, your website needs to look professional, well developed and easy to be navigated. For those things, choose this theme for your website. Running an online food store is a profitable business, and for that purpose, you need to have a professional website interface to lure customers. Get SEO benefits and attract thousands of customers daily to your blog with this WordPress theme. If you are a foodie, you can share your experiences online through a nicely constructed food blog. Many cookery experts or passionate cooks share their own unique recipes with other though such blogs. Creating such blogs can get really easy when you use this WordPress theme. 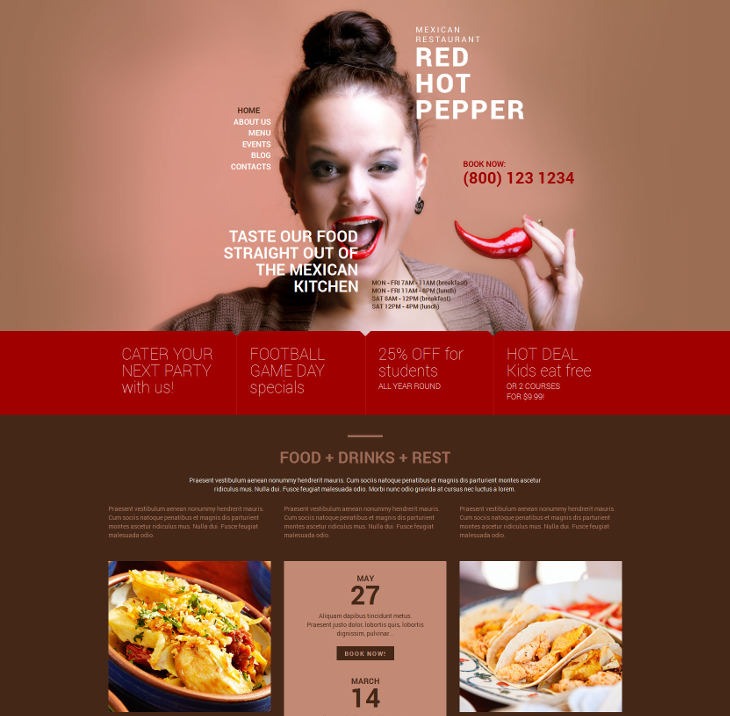 This is a WordPress theme for those, who want to run online food blog catering to Mexican spicy food. The design, graphic elements and overall structure of the theme are suitable for any professional food blogging website. Instead of choosing chemical based foods, going organic is the newest trend. Organic food is healthy, but people have lesser ideas on them. 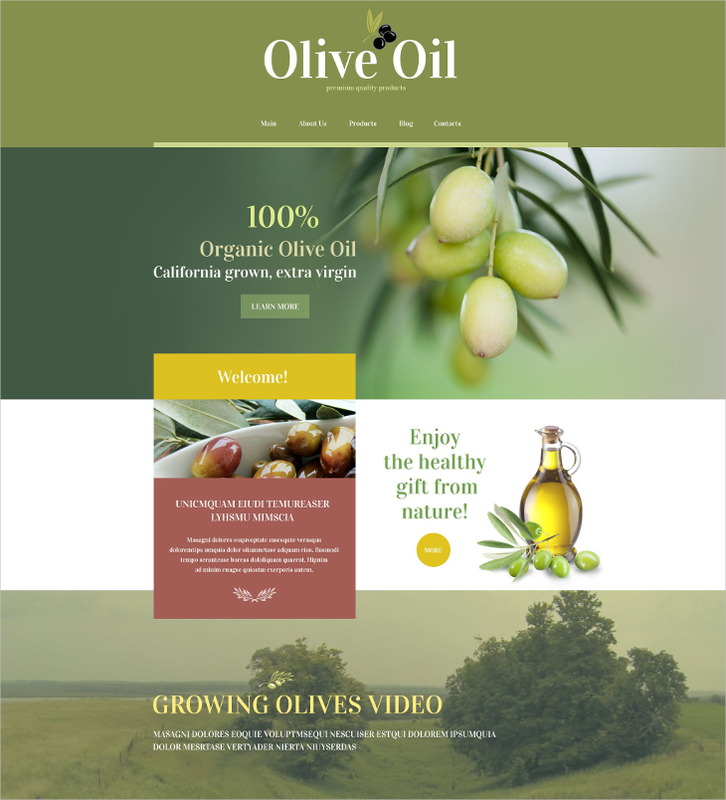 Share your knowledge with organic foods with a blog, and to create that blog use this theme. Different people have passions in different things. Some people have passion in photography, while others like cooking. If you want to get global exposure for your cooking hobby and if you want to share some interesting recipes with the world, choose this template for crafting your food blog. Content is the king, but you cannot simply ignore the visual effects for a better experience. 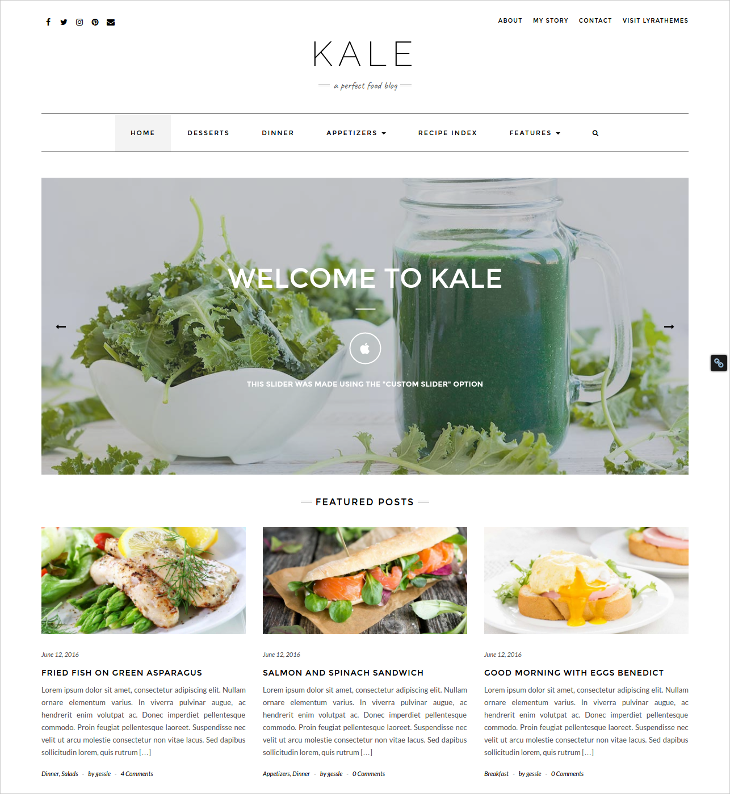 To ensure a better experience for visitors, use this contemporary food blog theme. If you run a vegetarian restaurant, you can get better exposure for your restaurant through a properly managed food blog. Share tips for cooking, recipes and talk about your restaurant dishes through the food blog. To create such a blog, use this theme. 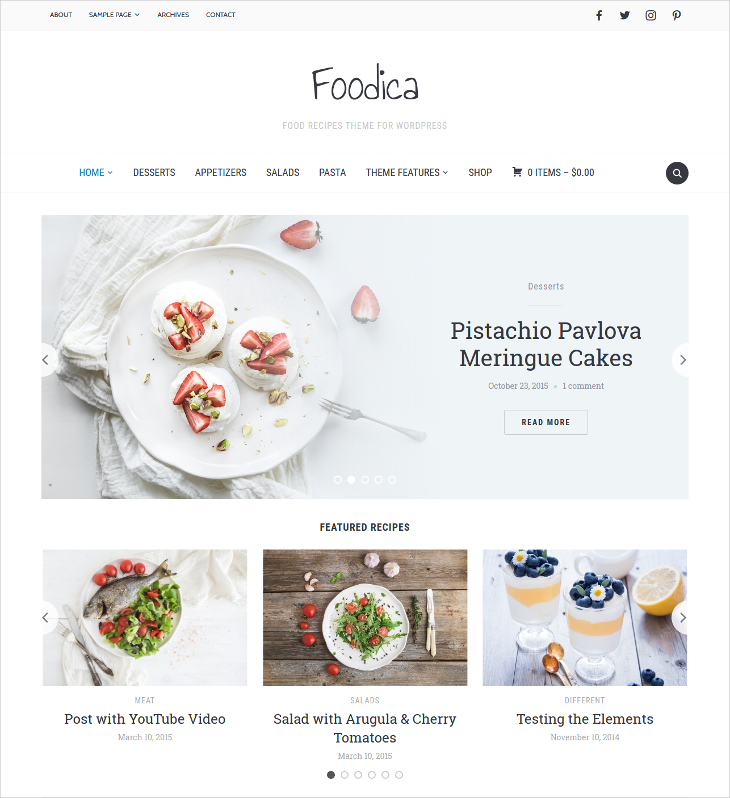 This is a simple HTML based food blog theme, perfectly designed for the professional food bloggers. It comes with a perfect interface, which is attractive and soothing for the eyes. Create your blog with ease and customize the pages or categories as per your need with this template. 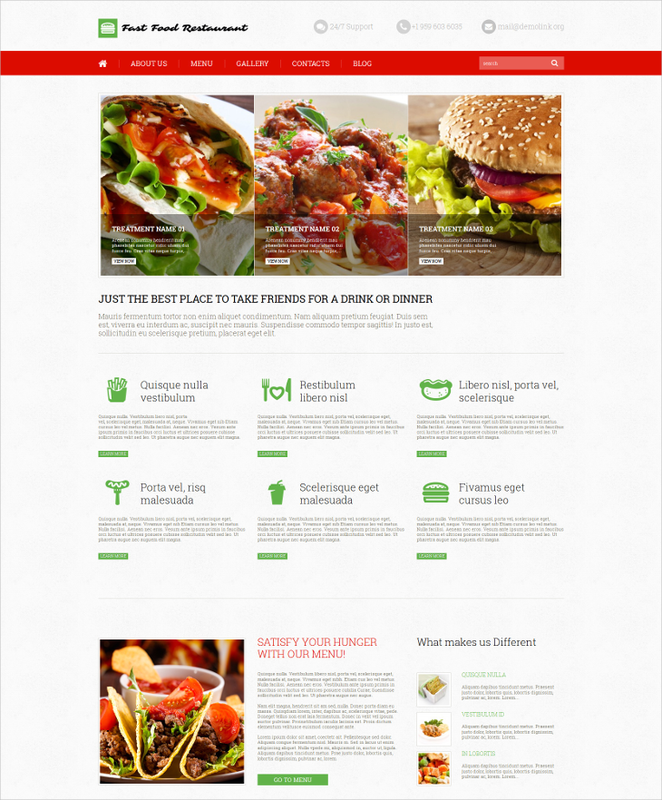 This WordPress theme is suitable for creating a blog for a fast food joint. Individual bloggers can use this theme to create their own unique websites and share recipes of various global fast food items. 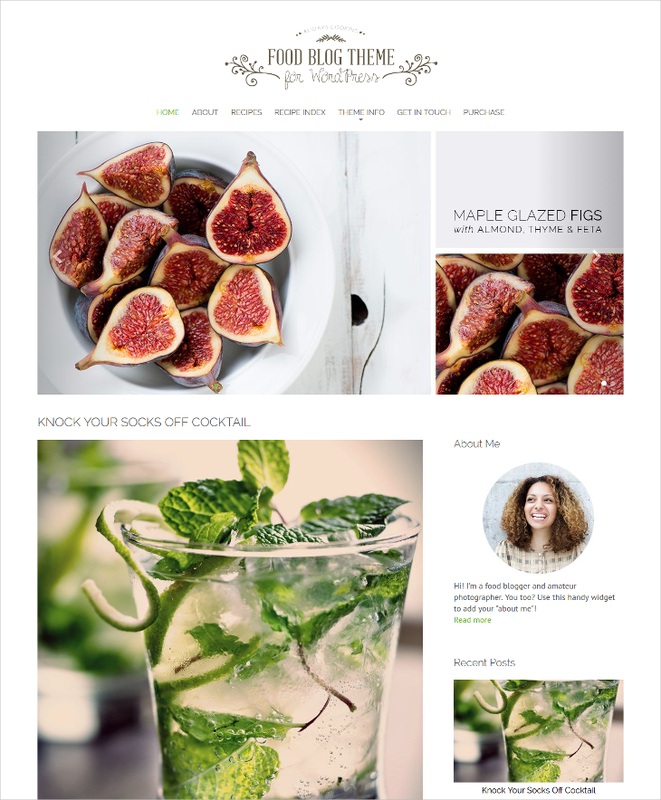 Creating a food blog will no more be a hassle with this excellent food blog website theme. Developed on WordPress open source framework, this theme is easy to customize and simple to integrate. 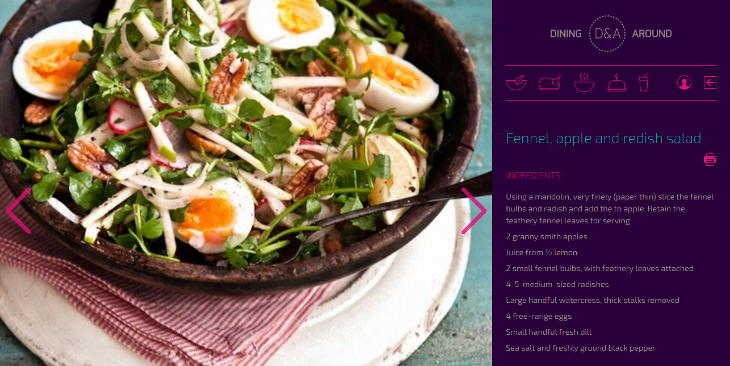 Using online themes of templates for designing food blogs is a smart choice, as it will save your time and money. Using the online themes is simple, and they are easy to customize. 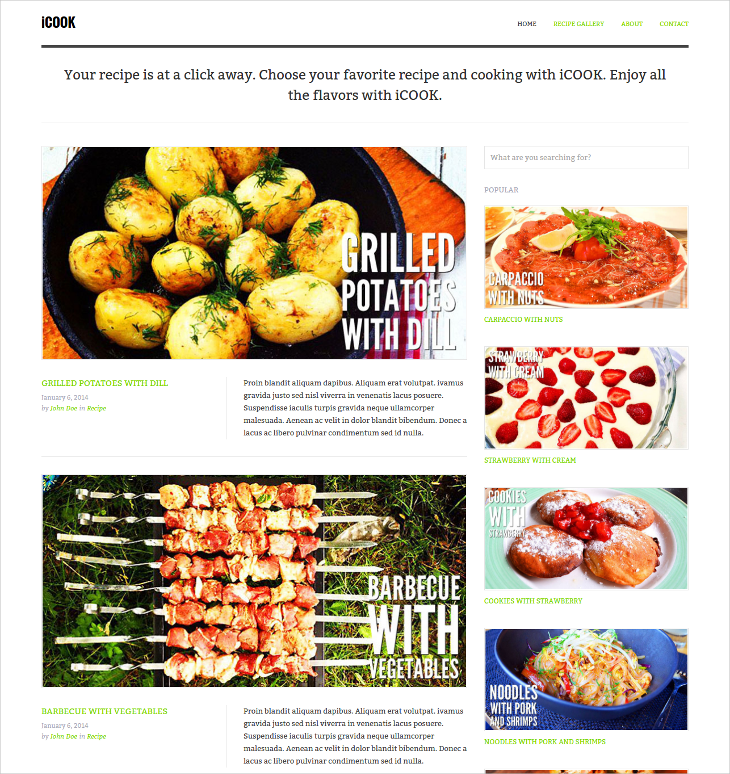 Developers can also use these templates to create a perfect food blogs for their clients with ease.